I love making raw cacao balls. They make the perfect go to healthy snack. They are loaded with key nutrients. Chia helps maintain normal blood sugar and provides normal bowel function. Goji increases vitality, is a vegan source of protein, and is rich in antioxidants, Cacao – raw cacao is different from the chocolate bars you buy in the stores in that they aren’t processed, – supports heart health, is rich in antioxidants, and supports bone strength. Maca increases energy, improves performance, and increases vitality. In addition to added these superfoods, I also added spirulina, raw cacao nibs, and organic shredded coconut to my recipe. This recipe is quick and simple to make. So when you’re craving something sweet, add this healthy alternative to your snack list. They are tasty too! I brought them to work and my coworkers loved them! Blend everything together in a NutriBullet or VitaMix until well blended. Shape in the form of balls or brownie. 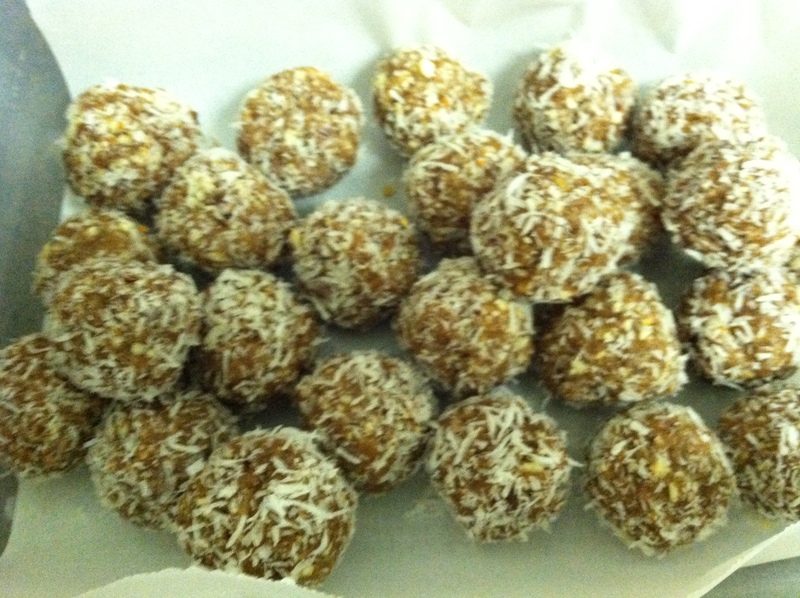 Roll balls in coconut or top brownie with coconut. Shape the cacao mix in the form of a brownie then add blended frozen berries on top.